Crikey, this year is flying by, it's already time for the Design Team to be showing you projects using the MFT October release. 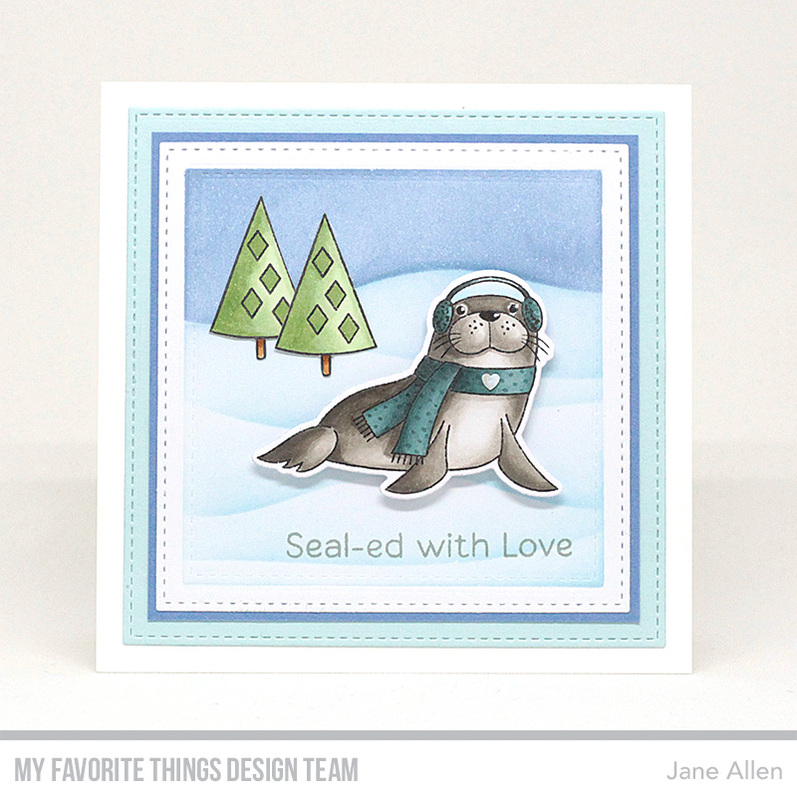 This well dressed seal is from the new Polar Pals stamp set and matching Die-namics..........I added a little heart to his scarf to link in with the sentiment. Oh and do you like the inked snowdrifts......well we have a new stencil coming out that makes inking them a whole lot easier! I will be back later on in the week with yet more new products......you're going to love them!! Beautifully inked background, I love your seal! Super sweet card!Love the snow effect! The triple frame sets off the charming, beautifully colored walrus! Very cute! Love the sentiments in this set! Absolutely amazing card. The seal is adorable. I LOVE everything about this card... so cute!! Thank you for sharing!!! Such a wonderful sweet card! Love the snow slopes using the new stencil and the critters are just adorable. How did you get the eyes to pop? Looks great! That's an truly adorable card ! This seal is so cute ! This is a delightful winter card. Thanks for sharing it. Love this little guy! He is a cutie.